Thomas Henry (Harry) Kinsley was born in 1892. By 1911 he was lodging in Bell Lane, Sutton working as a labourer. In May that year, he enlisted in Rainhill as Private 693 with the Lancashire Hussars. He married Mary Elizabeth Swift who was living at Home Farm, Rainhill in June 1915. 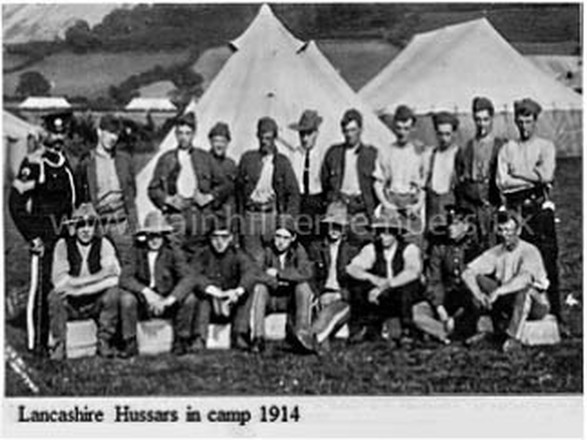 At this time he was at a training camp in Canterbury. Harry was based in Rainhill until December 1915 and then joined the British Expeditionary Force in France where he served until December 1917. He was then transferred back to the UK for farm work. At this time, Britain was suffering from food shortages due to the success of German submarines in preventing merchant ships from bringing supplies. In April 1918, Harry returned to France following the massive casualties suffered by the British Army after the German offensive in March 1918. 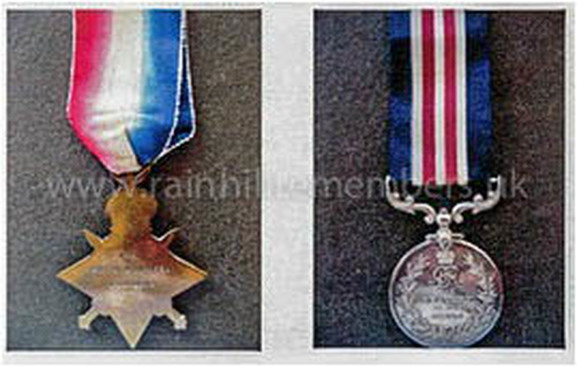 In October 1918, he was appointed acting corporal in the King's Regiment. He returned to England in January 1919 and was demobilised on 23rd February 1919. 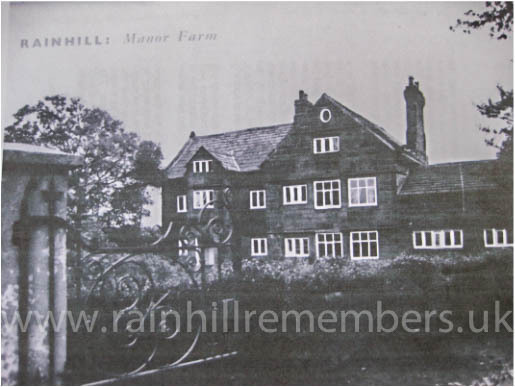 When he returned from war, Harry found work at Manor Farm in Mill Lane, Rainhill and he continued working there for the rest of his life. His son Jimmy followed him as farm manager. Harry and Elizabeth lived in School Lane for many years.